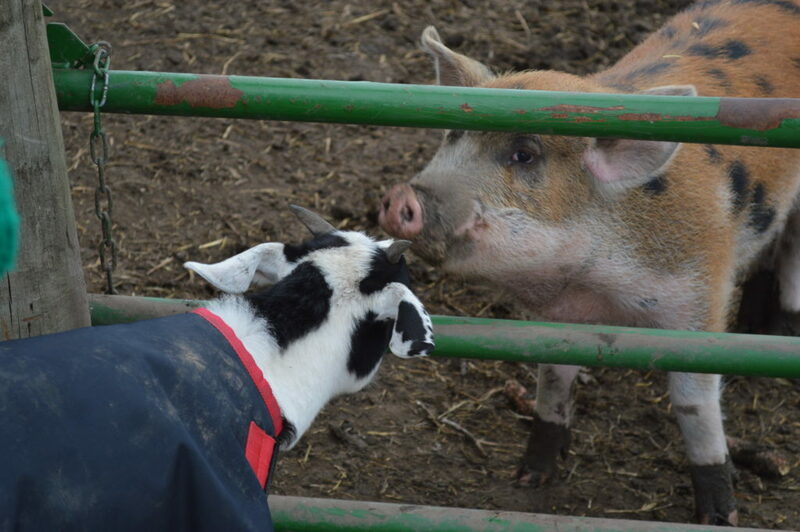 Carl the cow roams the barnyard with sheep pal Matty, while four ducks follow in a row to splash through the mud, and Sammy, a large red Duroc with drooping ears, gets a belly rub in the pen he shares with a handful of other pigs. The idyllic scene looks like a clip from “Charlotte’s Web” or a throwback to a bygone era, but is played out every day on the new Iowa Farm Sanctuary in rural Marengo. 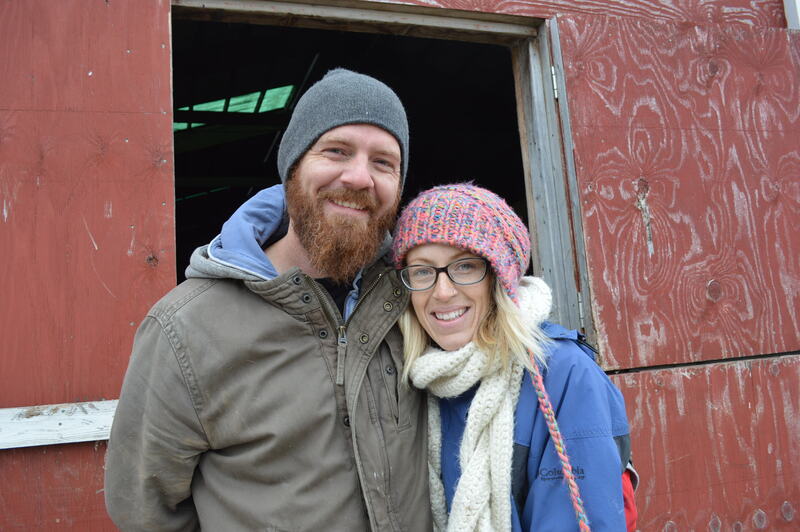 Jered and Shawn Camp spent two years planning the farm sanctuary – the first of its kind in Iowa – and just last summer purchased an acreage to pursue their dream. 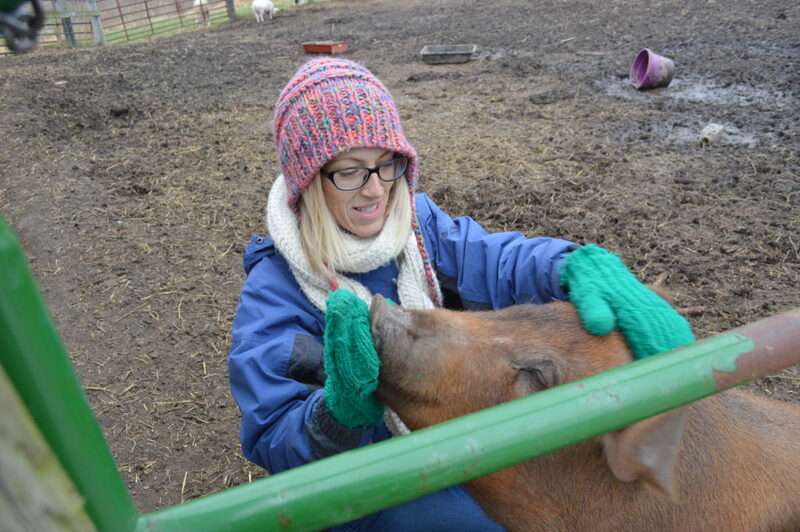 “Farm animals don’t have the same protections as dogs and cats,” said Shawn, 30, whose interest in starting the sanctuary was sparked after reading “My Gentle Barn,” a book that details author Ellie Laks’ experience in founding an animal sanctuary in California. Iowa Farm Sanctuary’s mission is to provide a safe haven to rescued farm animals in need of love and compassion, while providing humans the opportunity to experience the unique sentience and intelligence found within a variety of animals. A native of Solon, Iowa, Shawn initially hoped to volunteer at a farm sanctuary before she and her husband discovered that none existed in Iowa, a state that touts itself as an agricultural leader. Jered, 35, spent his youth on the family’s small farm in Utah, where he fed calves and other animals, even though he wasn’t particularly enamored with the daily chores. 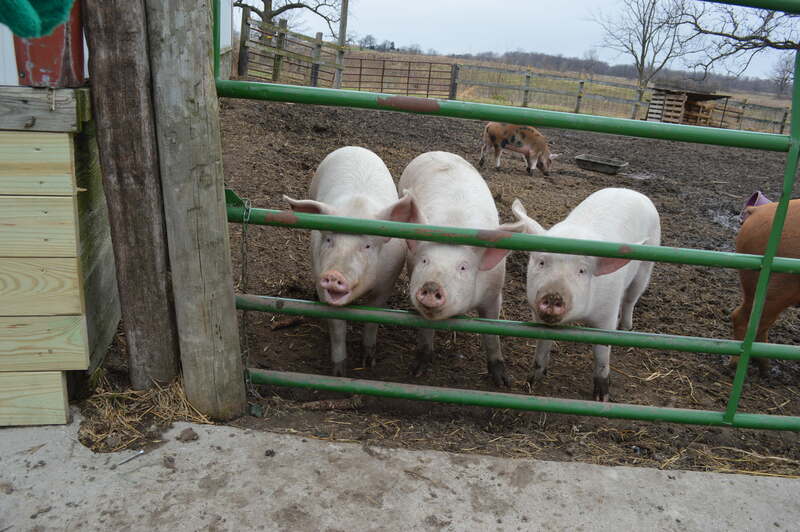 The two solidified their goal to launch Iowa’s first farm sanctuary after visiting the Heartland Farm Sanctuary in Wisconsin and began pursuing status for the Iowa Farm Sanctuary as a 501(c)(3) nonprofit. 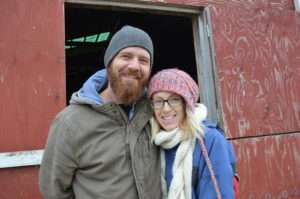 After a long search, they found a 10-acre farm with a home and outbuildings in Eastern Iowa – not far from the Amana Colonies – which they are purchasing on their own. Shawn has cut back on her work at Reds Alehouse in North Liberty, where she had served as manager, in order to focus on the sanctuary. Their first two rescues, Monkey and Marley, were runts that would have been slaughtered if not for the sanctuary, where they share space with Sammy and other rescued pigs, including Kayla, who suffered road rash after falling from a semi-trailer truck on the interstate. Within months of the initial rescues last July, the sanctuary’s menagerie has grown to more than 20 animals, with frequent requests to take in more. Each has its own personality, as exemplified by one of the sanctuary’s goats, Bennie, who was rescued from a farm where he would have been raised for meat. The runt of the litter, Bennie would have required bottle feedings, which the previous owner didn’t have time to do. 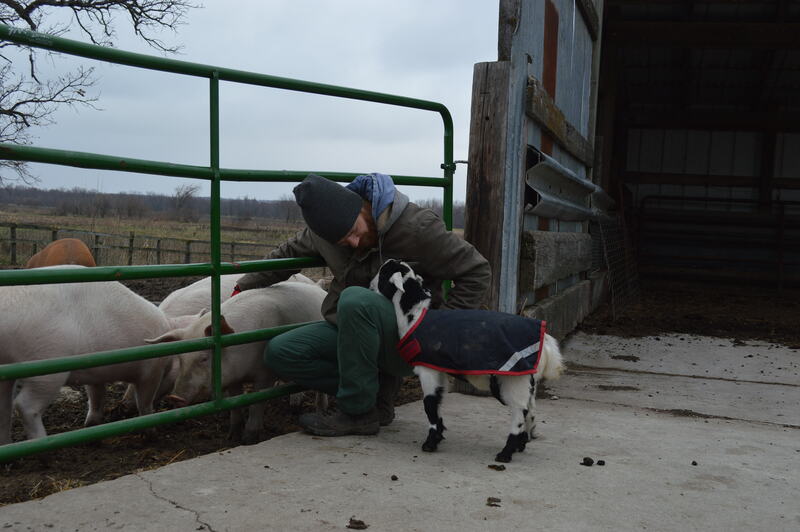 His life was spared when he was surrendered to the farm sanctuary, where he often follows Shawn and Jered around as a pet dog would do, and nuzzles visitors for attention. 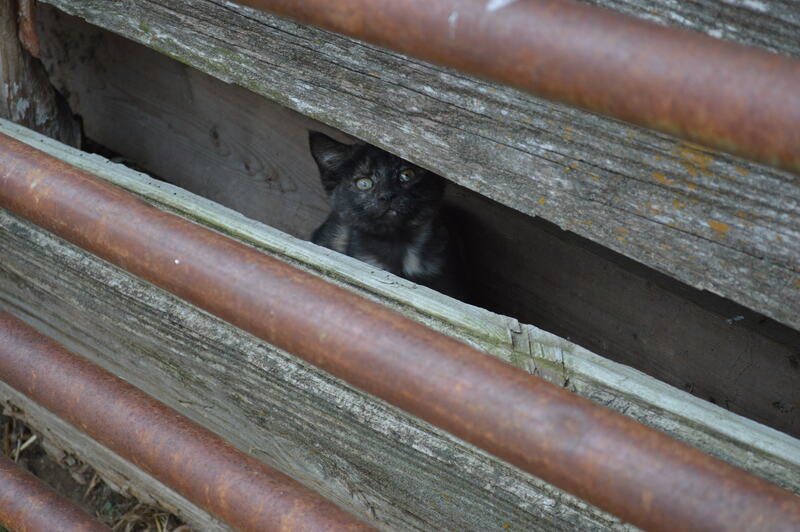 Some animals are referred to the sanctuary by the Animal Rescue League of Iowa, while others come through phone calls, emails and the Iowa Farm Sanctuary’s Facebook page. Unusual requests have included calls about cockatiels and baby mice, neither of which fit the sanctuary’s mission. Space is limited by the number of stalls in their barn, but they hope to construct new stalls and buildings to house more animals. 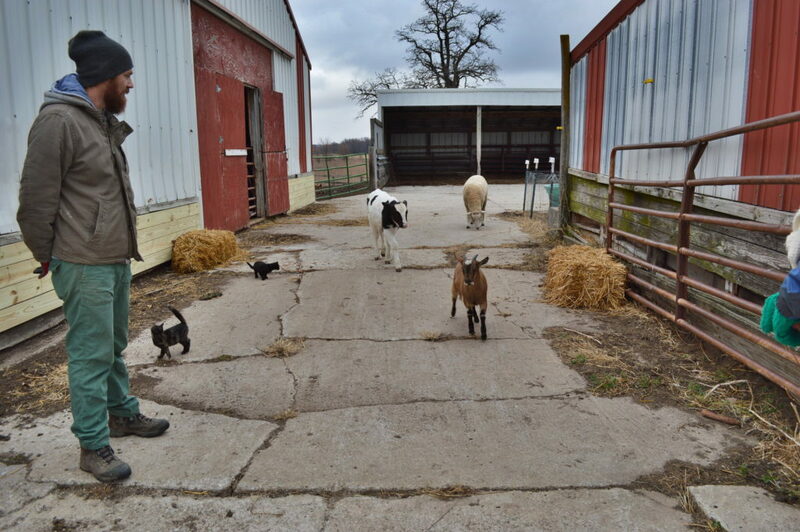 The couple, along with the Iowa Farm Sanctuary’s Board of Directors, prioritizes emergency rescues, such as animals that have been removed from abusive situations. “It’s really case-by-case who gets to come here and who can’t,” Jered said. Their first cow rescue, Carl, was saved from a veal auction, where he had likely been taken immediately after birth. Unable to stand and suffering from severe diarrhea, Carl initially required near-constant care, including medication and feedings during the night. Against all odds, the black-and-white calf pulled through and has grown steadily in his time at the sanctuary. 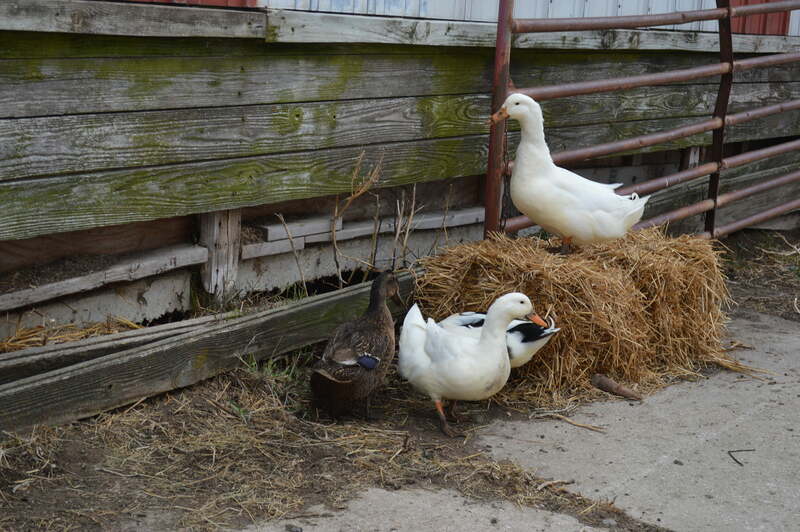 Other rescues include domesticated ducks that were abandoned at a pond in Iowa City and could not survive in the wild, a variety of chickens and three pygmy goats. Shawn and Jered are both vegan, so eggs serve as food for the ducks and chickens, and the two are pondering an appropriate outcome for the wool when the sheep need to be sheared. Their vegan lifestyle serves as the underlying thread to the sanctuary’s mission. 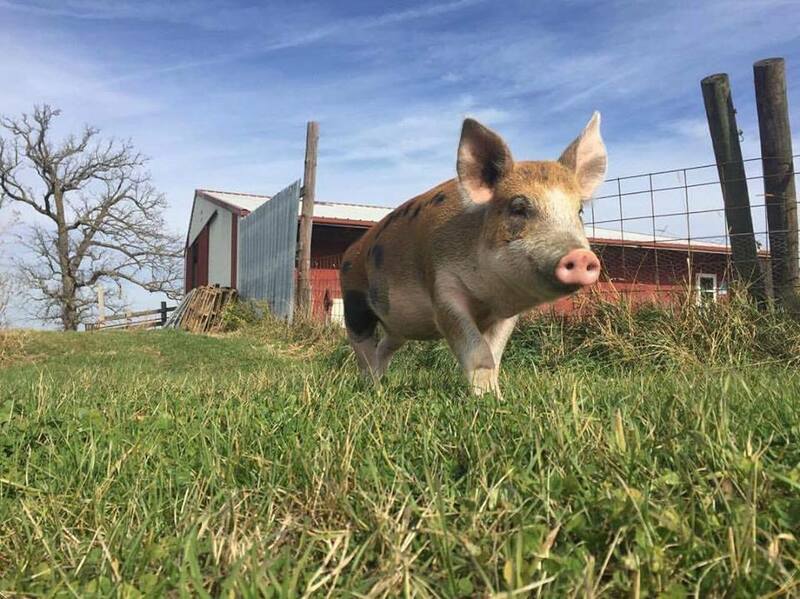 Iowa Farm Sanctuary is hosting gatherings that provide an opportunity for people to interact with the farm animals and serve as a fundraiser, with proceeds going to the care and feeding of the animals. The sanctuary has partnered with Amazon Smile to receive donations from Amazon customers who choose the nonprofit as their charity. Opportunities also are available to sponsor individual animals and the farm has accepted donations of food for the animals, such as a truckload of cucumbers and a farmer’s donation of corn and soybeans. Their Facebook page is attracting a growing following and tickets to their inaugural event, in October, quickly sold out. While caring for the animals is time-consuming, the Camps are certain they made the right choice. Find more at Iowa Farm Sanctuary and learn more about healthy living at the Radish Magazine.